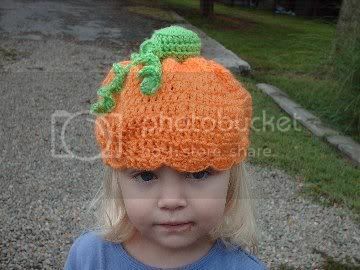 Here's a quick little hat that I whipped up for Alex, the neighbors little girl for Halloween! 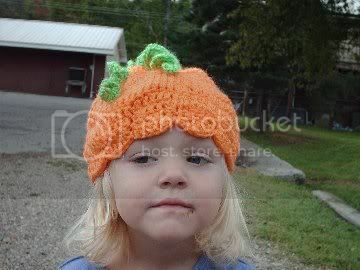 Isn't she just cute as a button?! Time: About 1 1/2 hrs.